30 April 2018 – On Friday 27 April, the United States Commission on International Religious Freedom (USCIRF) released its 2018 annual report, “documenting religious freedom violations and progress in 28 countries during the 2017 calendar year and making recommendations to the United States (US) government.” In the report, USCIRF notes that throughout 2017, “religious freedom conditions continued to deteriorate around the globe,” leading it to designate 16 states as Countries of Particular Concern (CPCs). Among the states designated as CPCs is Saudi Arabia, which has continued to restrict the right to freedom of religion and belief and to imprison activists and dissidents. 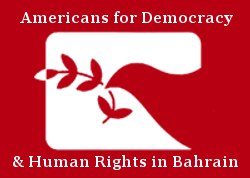 Americans for Democracy & Human Rights in Bahrain (ADHRB) welcomes the designation of Saudi Arabia as a CPC and calls on the US government to support this designation through serious high level bilateral efforts aimed at addressing severe religious freedom violations. In the report’s opening comments, USCIRF states that the continued deterioration of religious freedom often intersects with “authoritarian practices characterized by hostility toward dissent, pluralism, independent media, and active civil society, or took place under the guise of protecting national security or countering terrorism.” In addition to exploring these structural factors in its country reporting, the report prioritizes to three thematic issues: advocacy for specific prisoners, the use of blasphemy laws to restrict religious freedom, and the interplay between women’s rights and religious freedom. The government bases its repression on counter terrorism and national security grounds, claiming that Saudi Shia Muslims support Iran, despite repeated assertions by representatives of the Shia community that this is not the case. However, government officials and security forces continue to make this claim, using it as a reason to suppress peaceful protests, and launch security operations in Shia Muslim areas. For example, beginning in May 2017, the government initiated a large-scale security operation in the Shia-majority town of Awamiyah. The operation included the use of heavy artillery, and resulted in the displacement of “as many as 20,000 residents, and resulting in dozens of deaths, both police and civilians.” The violence led three United Nations experts to release a statement condemning the operation. Raids and arrests for witchcraft and sorcery – both crimes punishable by death – continued during the reporting period. Most of those arrested in these cases were expatriate workers from Africa or Southeast Asia accused of using witchcraft against their employers or more broadly, disrupting Saudi society by dividing families or distorting religious texts. Saudi authorities also use blasphemy laws to suppress debate and silence dissidents. Among the activists targeted by the government on blasphemy charges are Raif Badawi, a blogger who was sentenced in 2014 to 10 years in prison, 1,000 lashes, and a fine of one million Saudi riyals ($266,000); Waleed Abu al-Khair, Badawi’s lawyer and a human rights activist sentenced in 2014 to 15 years in prison; Ashraf Fayadh, a Palestinian poet who was sentenced to death in 2015, but who’s sentence was reduced to eight years in prison and 800 lashes; and Ahmed al-Shamri, sentenced to death in 2017 and who is appealing his sentence. Husain Abdulla, Executive Director of ADHRB: The recent release of USCIRF’s 2018 annual report and the re-designation of Saudi Arabia as a Country of Particular Concern (CPC) is a welcome update. It should be no surprise that Saudi Arabia is a CPC due to its ongoing and systematic human rights violations against religious minorities. Indeed, the government has restricted the climate for religious freedom to an extraordinary degree, often in the name of countering terrorism or criminalizing blasphemy, charges that disproportionately affect migrant workers and members of the Shia community. The US government must act on USCIRF’s recommendations and protect religious minorities, whether through serious diplomatic efforts or sanctions. USCIRF has designated Saudi Arabia as a CPC since 2004, basing its review on the kingdom’s treatment of religious minorities. Despite this, Saudi Arabia has received a national security, and energy security waiver from the US government forestalling any action against the Saudi government on the basis of USCIRF’s CPC designation. However, Saudi Arabia has failed to make serious efforts at lifting restrictions on religious freedom. Promoting and protecting religious freedom is an important US value and the US must take steps to ensure that its foreign policy is in line with respect for religious freedom. To this end, ADHRB calls on the US government to work at the highest levels to secure the release of prisoners of conscience and religious freedom advocates, press the Saudi government to bring its domestic laws into compliance with international human rights standards, and, if necessary, use sanctions and asset freezes to compel respect for religious freedom.